A fused art quilt pattern, 20″ x 22″ finished. 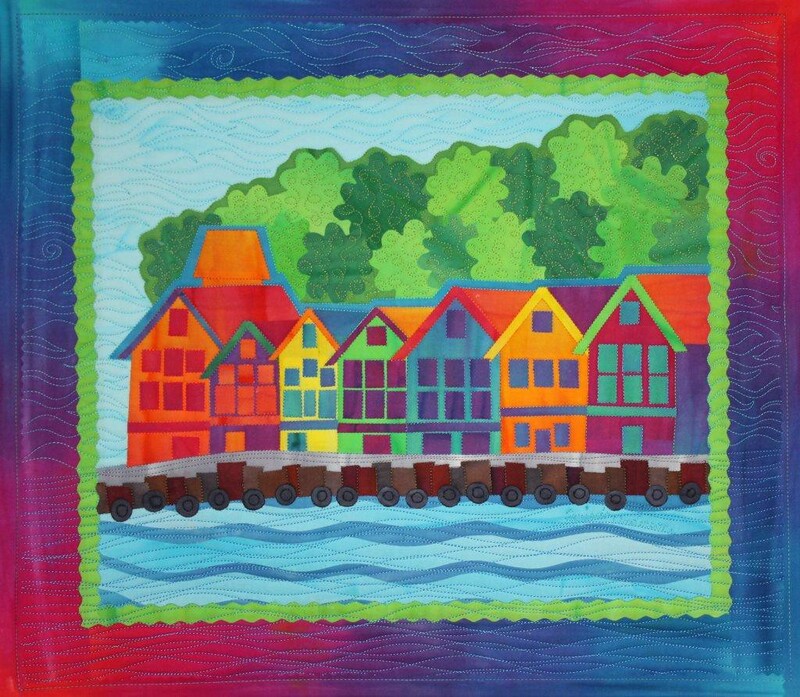 This quilt was inspired by my teaching trip to Norway, specifically the town of Bergen. In the down town area on the wharf are a row of brightly colored old wooden ware houses. My pattern is a generic version appropriate to any Seaside Village. I have used a wavy rotary blade to cut out the central town area and it is sitting on an inside border of green also cut out with the wavy blade.